The Nicholas Aaron Aitken Artist-in-Residence Program was established by Tamara, Bart, and Ian Aitken (FS '08), in 2010 in honor and memory of their son and brother, Nicholas Aaron Aitken (FS '04), a gifted art student who loved Forsyth School. 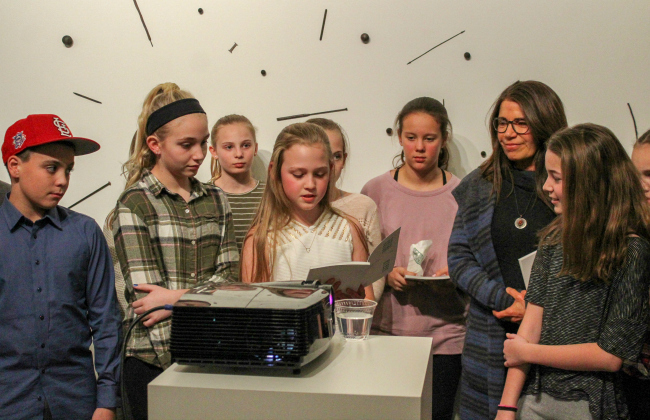 The annual residency provides a unique visual arts opportunity—one seldom found in elementary schools—for Forsyth's Grade 5 students to collaborate with a visiting artist. Students participate in ongoing dialogue and hands-on exploration with the artist-in-residence during the fall term. Together, they create an exhibition of the students' artwork for the Forsyth community. Each residency features a different project that provides the students with exposure to new media, processes, and perspectives. 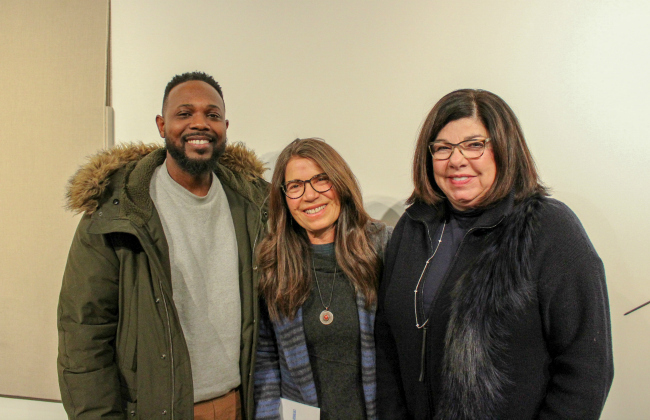 Forsyth's 2018 Artist-in-Residence, Kevin McCoy, is a current MFA student at the Washington University Sam Fox School of Design & Visual Arts and one half of the design duo behind St. Louis-based WORK/PLAY. Together with his wife Danielle, they combine illustration and minimal contemporary design and incorporate experimental printmaking techniques into their artistic practice. Kevin first met with and presented to the Grade 5 students in September 2018; he worked directly with the kids on this year's project—a two-color, Risograph-printed book—throughout the fall season. Risograph, aka Riso, is a high-speed digital printing system manufactured by the Riso Kagaku Corporation and designed mainly for high-volume photocopying and printing by means of an internal stencil. Regarded by many illustrators and designers as a more economical alternative to silk screen printing, the technique is popular with both students and professionals seeking affordable ways to self-publish. What are your observations and ideas? What are the important topics and subjects to investigate? "Some people think because of kids' ages they don't have good ideas, but if you take the time to listen you will find something different about kids. They see things with a different mindset: they look for the truth and they speak up when something is not right. They are bold and can fix things—even big world problems to which others fail to see the answer. But sometimes kids aren't heard because someone told them to be quiet and stop talking about things only grown-ups can fix. That is when the idea is lost, never to be heard again because of that one person who says you can't make a change, who says your idea will never work." "In this book, you will see the world through the eyes of your children. We have discovered listening is the key to solving problems. When we listen to others we open our minds, peer through different windows, and sometimes even manage to open doors we thought would be closed forever."